I’m a full maternity panel girl, I really don’t like wearing stuff under my pregnant tummy. 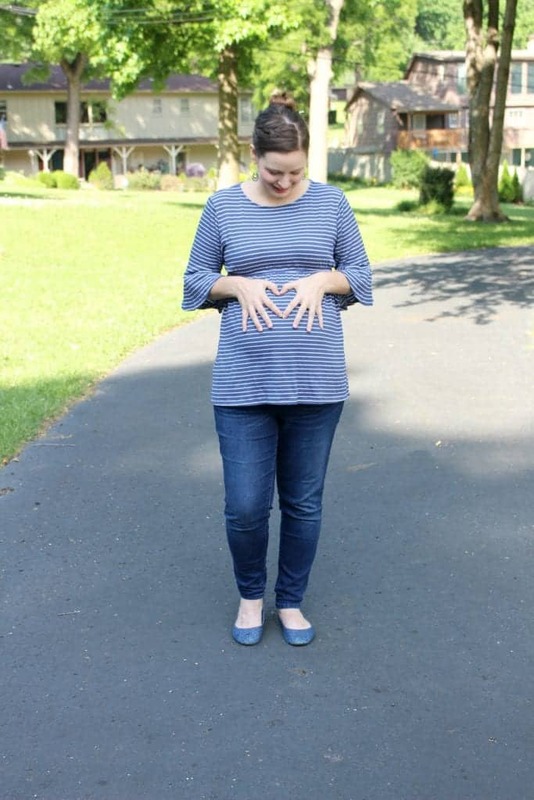 These maternity jeans have the softest, stretchiest panel and are really comfortable. Well, as comfortable as jeans in these summertime can be! I wanted to get capri’s but my ankles look pretty bad when I’m pregnant so I went with jeans instead. I feel just as big as I look! I’m still doing great with my weight gain (somehow!). I’ve gained 12 pounds and I’m due in August. That’s a first for me! I’m hoping the last two months just stay steady and I end up with a 20 pound weight gain. That doesn’t feel as daunting to try and lose as my normal 32 pounds. I’m still using Younique makeup for a natural look. I don’t wear it quite as often now (it’s easier to wake up and just not care right now 🙁 ), but I normally get it on a few times each week. My splash of color is found in my Flexi Clip! 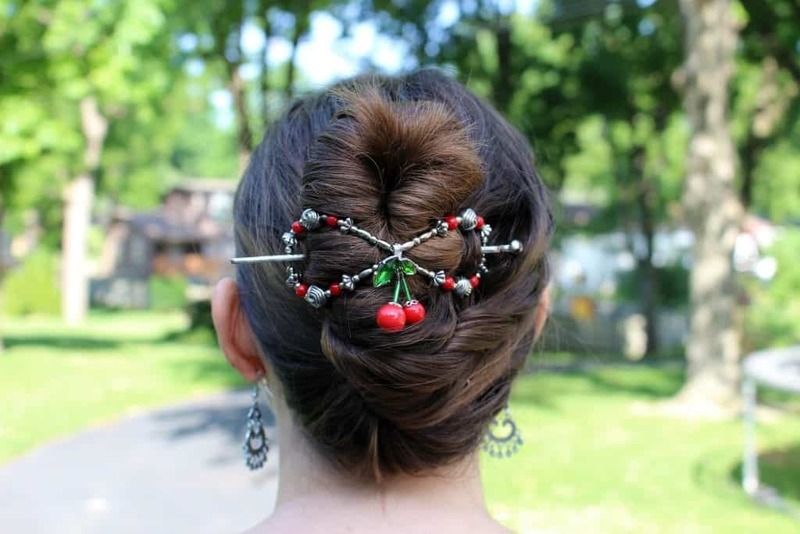 It’s the Cheri Flexi Clip that is a limited release for June, and it’s a super fun one to wear for summer!! I’m wearing an XL here. 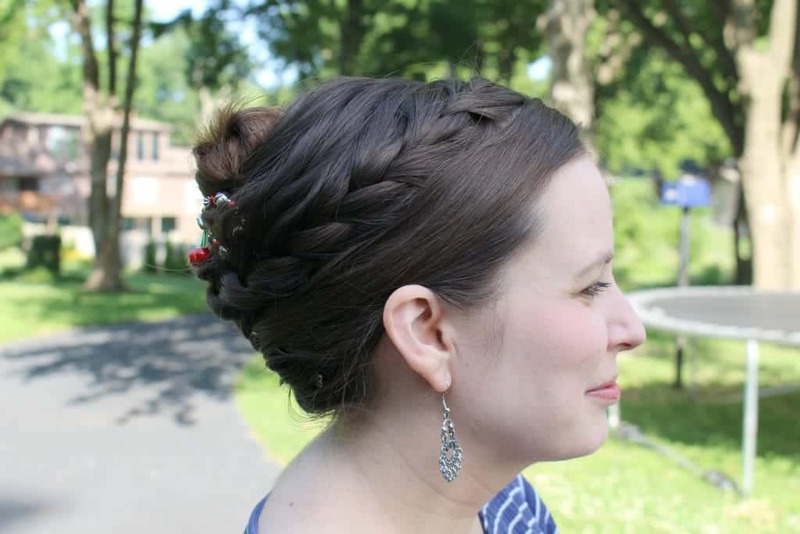 I braided one side back, used a bobby pin and then twisted the rest up into the Cheri clip! You are glowing! 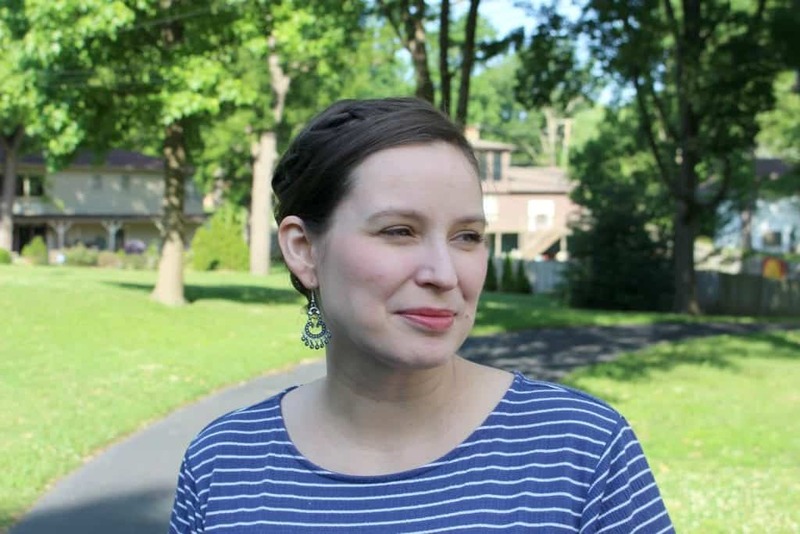 Love your top, and I really like your new blog design! That outfit looks really nice on you! It’s very flattering. And I totally hear you on the swollen ankels. 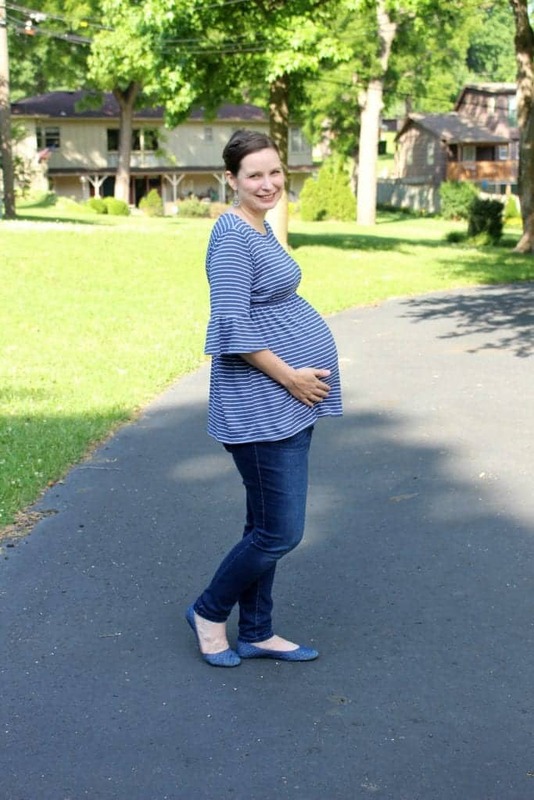 With my last pregnancy, it was in the dead heat of summer and I had so much swelling (preeclampsia) that I went up three shoe sizes! It was pretty uncomfortable but so worth it. I’m so glad to hear your pregnancy is going well and will keep you and baby in my prayers! In my day, everything was “full panel.” LOL It’s nice that there is so much more variety these days. But your jeans look very nice. Thanks for hosting. Have a great week. You look great. The jeans are perfect. This is such a cute outfit. I don’t think you should worry about gaining weight. If you’re not eating junk or overeating, whatever you gain is best for the baby. You don’t wanna starve that little munchkin!! Hang in there!! I also think that If you’re not eating junk or overeating, whatever you gain is best for the baby. By the way you are looking so pretty. Your outfit are really nice. I’m so glad to hear your pregnancy is going well and will keep you and baby in my prayers.